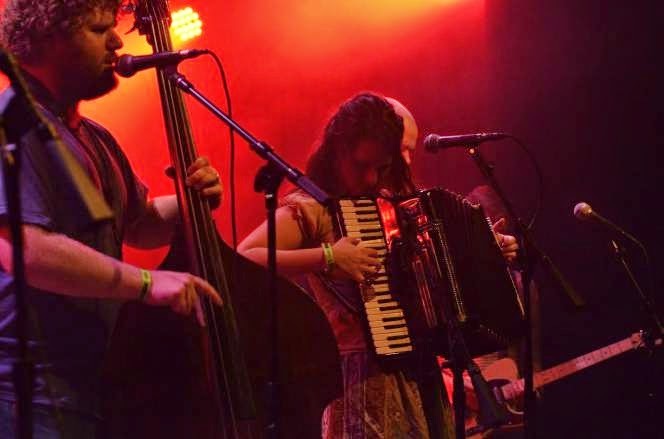 The excitement and energy that Grammy nominated rock influenced Cajun band Lost Bayou Ramblers generates on stage is documented on the band's new live album, "Gasa Gasa Live," which will be released Sept. 30. 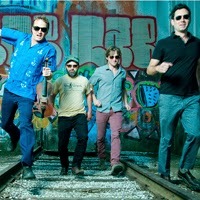 In support of the new album, Lost Bayou Ramblers will perform Oct. 5 at City Winery, 1200 W. Randolph St., Chicago. The show starts at 8 p.m. and tickets are $15, available at www.citywinery.com/chicago. Q - Great talking to you. Your last live album, "Live A La Blue Moon," was released in 2007. Was it just the right time to do another live album? What was it about that show at Gasa Gasa that made you want to record it? The beauty of "Gasa Gasa Live" is that we didn't know the show was being recorded in multi-track, so we weren't at all self-conscious. It was our third show that day, we were on fire, and it was our first time to perform at Gasa Gasa, and we had an amazing show, so when they told us they recorded it we knew it was worth a listen. It really is a perfect snapshot of where we've come in our live show since the release of "Mammoth Waltz." Q - The album features a new song from your upcoming studio album. What should people expect from the new album? Are you following in the same direction as your last album, "Mammoth Waltz?" We're definitely picking where we left off with "Mammoth Waltz." As much as "Mammoth Waltz" was a huge step from our previous albums, it was a natural progression, not an overnight remake. It's all about embracing our generation, and not trying to freeze tradition in time, but to grow it and keep it alive. Q - On your last album, you add more rock influences into the mix. What were your goals for the album and do you think you accomplished them? Did you think that the album would be so well received? The goal for "Mammoth Waltz" was to create new songs that were exactly what we wanted to hear, with no censorship, no filter, or no fear of it not being traditional or Cajun. We brought back tunes from the late 1800s and early 1900s, and brought new originals, but it's hard to tell which is which. Much of the album was recorded during the Gulf Oil Spill of 2010, which no doubt had a lot of influence on the lyrics of the album. It's all about expressing our experience in this time, not trying to re-live another era. Q - The album also features a number of guest stars, including Dr. John, Scarlett Johansson and Gordon Gano from the Violent Femmes. What do you think they brought to the table? All three of our guests were organic relationships, and they all happened at different points in the recording process. We were influenced by all three musically ("Anywhere I Lay My Head" was a big influence on me at the time) and knew their contributions would all take the songs to another level, and they did. Their artistic contributions are as heavy as their names, and we're lucky that such amazing people were game to share their art with us. Q - The band is also featured on the soundtrack to "Beasts of the Southern Wild." What was that experience like and do you think being part of that project has widened your audience? We recorded the very first tracks to the "Beasts" soundtrack, and they built off of them creating the score, so we had no idea what to expect from either the film or the music. When it finally came out, we were blown away. The movie is an amazing portrayal of the situation in South Louisiana, and it definitely exposed our music to many people that may have never heard us otherwise. Q - What do you think of the New Orleans music scene these days? New Orleans is exploding, musicians both famous and unknown are moving there every day, because it's so alive, and has so much prolific creation going on all the time. It's always been an inspiring place for artists, and we're no exception; New Orleans is our artistic home. Many! Daniel Lanois always comes to mind, as I think he would connect with our story and sound, and seems to be a very cool person to be around, after meeting him a few weeks ago in Canada. 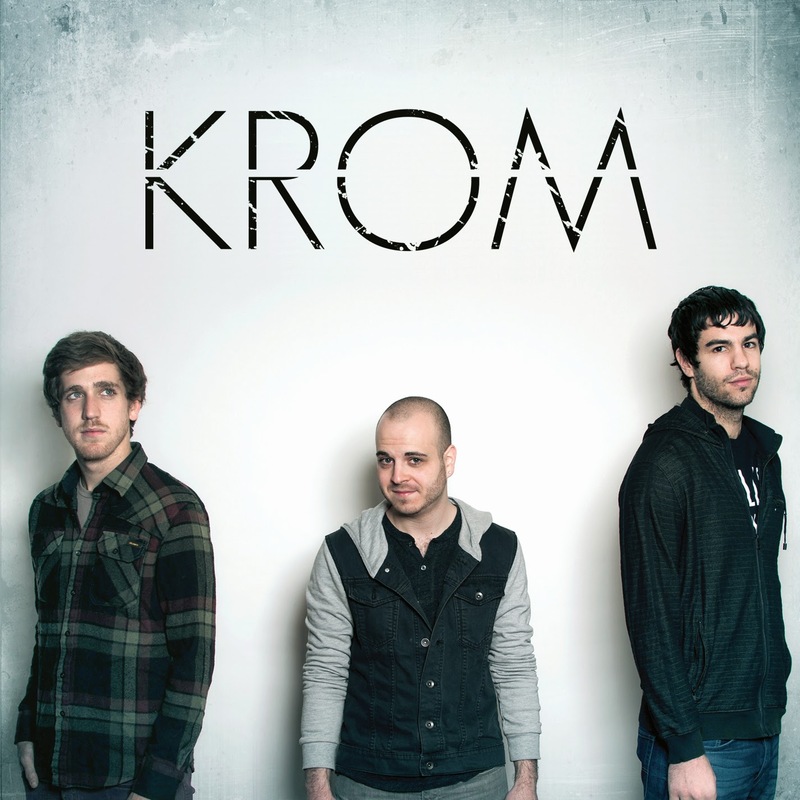 New York-based jazz trio KROM earned critical and commercial acclaim for its first album, "Youngblood." 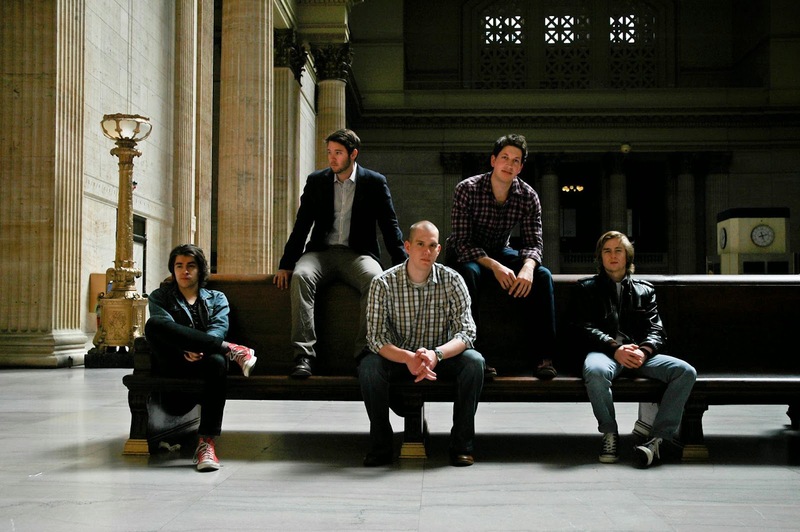 The band, led by pianist and Wilmette native Adam Kromelow is currently touring in support of its self-titled sophomore album. KROM will perform Oct. 5 at the Music Institute of Chicago’s Sherman Avenue Theater, 1702 Sherman Ave., Evanston. Tickets are available by going to www.brownpapertickets.com. I had the chance to talk to Kromelow about the upcoming show. Q - Great talking to you. Is this upcoming show even more special to you, seeing that you grew up in Wilmette? How does the jazz scene in New York City compare to when you still lived here? Absolutely. It's one of my favorite things to come and perform in my hometown. Generally we play at jazz clubs in Chicago like Andy's or the Jazz Showcase. But I wanted to do something even closer to home so the show was more accessible to family and friends who can't easily make it into the city. I have also lately liked performing in theaters instead of clubs because we can organize the show on our own terms. The scene in New York is amazing, there is so much diverse music happening and so many outlets for it. I can't really compare it to the Chicago scene because I never really lived there as an adult. But I have a lot of friends playing in Chicago who are doing amazing things so I know jazz is alive and well there. Q - You are touring in support of your self-titled sophomore album, which was released earlier this year. Your first album, "Youngblood," was critically acclaimed and reached number 14 on the College Music Journal radio chart. Did you feel a lot of pressure in following up the album? In sitting down to make your sophomore album, what were your goals and do you think you accomplished them? I didn't really feel that much pressure because I knew the music was so much stronger. I almost consider "Youngblood" our "zeroth" album and KROM our real debut. "Youngblood" was all over the map genre-wise, but with KROM, we have really settled into our progressive rock/jazz sound. My only goals were for the melodies to be very clear and memorable, the grooves to feel very danceable, and the improvisational moments to feel natural. I feel like we accomplished this, but I guess its really up to the listener. Q - I understand that you and Jason attended the Manhattan School of Music and that Raviv graduated from Columbia University in New York City. How did the band come together? What do you think each of you bring to the table? Jason and I were actually next door neighbors in the dorms at Manhattan School of Music and we ended up playing together a lot in classes and jam sessions. I met Raviv through a number of mutual friends from Manhattan School of Music who knew him from high school. We all became fast friends over the years and formed this band in my last year of school. They each bring a lot to the table. I write the music, but they help arrange it and give it the real mood that ends up coming across. Raviv has such a strong articulation that adds incredibly to our beats, and Jason orchestrates on the drums using a lot of textures that you don't hear a lot. We often try to utilize the full capacity of our instruments to sound like there are a lot more than just three of us. 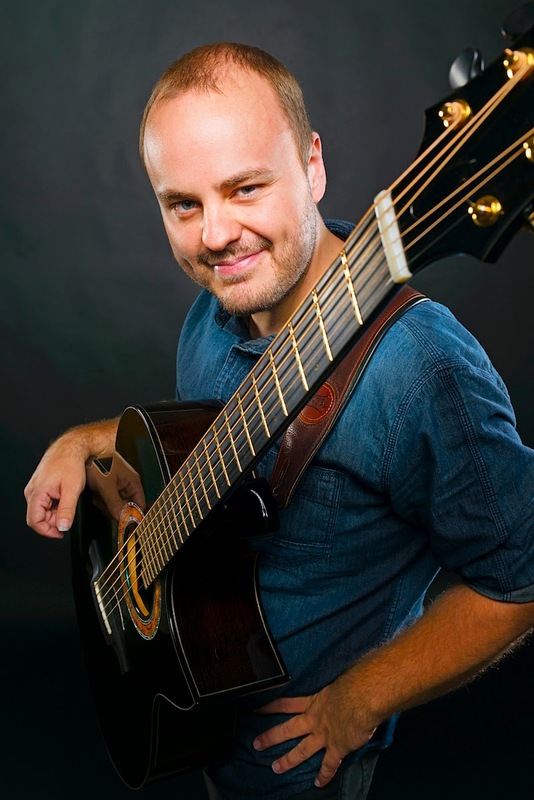 Q - The band was previously known as the Adam Kromelow Trio. What was the reason for the name change? There are sort of two reasons. One was that no one could find us online because they couldn't spell Kromelow. I remember once we opened for Rusted Root, and people would come up with us and say "I want to buy your album on iTunes. You're Adam Cromwell with a 'C'?" KROM is a lot easier for people to remember. But also, there are so many jazz bands called "The so and so trio or quartet," I wanted to have a band name that shows that we are a real unit with our own music. Not just another dime-a-dozen jazz band. Q - You have received the "Downbeat Magazine" award for outstanding jazz performance, and the Manhattan School of Music President's award. What have you tried to do with your playing? Are you surprised at how many people are connecting with the group's music? Those were student awards that I received a long time ago, but it wasn't until after graduating from the Manhattan School of Music that I started to figure out my identity as a pianist. I always loved rock and pop music, but was studying jazz so seriously, that I felt like two separate musicians. Writing music for KROM was a way for me to incorporate all of these parts of my musical identity to create one cohesive sound. I guess you're always surprised that people are liking your music, but you just have to be true to your own tastes and ideas and trust that that honesty and passion will resonate with listeners. KROM has been fortunate to receive some really great reviews and we are very grateful for it. Q - You have worked with such esteemed musicians as Bob Mintzer, Jon Irabagon and and DJ Logic. What did you learn from such experiences? Bob Mintzer and Jon Irabagon are both incredible saxophonists whom I got to play one gig each with due to lucky circumstances. These were not high profile gigs at all, but as a young musician I very quickly picked up on their confidence. As improvisers they were so sure of themselves that they were free to take enormous risks that almost always paid off. I think that just comes with experience. DJ Logic is a collaborative DJ who has worked with people all over the map, from Christian McBride to John Mayer. He performed on a song that I wrote for Arturo O'Farrill's (the producer of Youngblood) Afro-Latin Jazz Orchestra. He created the coolest sounds on the spot. I would love to work with him again. We have spoken about collaborating, hopefully we'll be able to make that happen sometime. Our real goals right now are just to play more shows and reach more people. We feel that the music is sounding really good and we just want to get it out there more and more. As for musical goals, I really would like to try to add some singing. Chicago band Renegade Lightning Rebellion's sound is as distinctive as its name. The band will perform Sept. 25 at the Beat Kitchen, 2100 W. Belmont Ave., Chicago, in support of its new self-titled EP. Also on the bill is The David Mayfield Parade. The show starts at 9 p.m. and tickets are $12, available at www.ticketfly.com. I had the chance to talk to frontman Brian Stark about the new EP. Q - Great talking to you. Of course, the band will be performing at the Beat Kitchen on Sept. 25 to celebrate the release of the new EP. In sitting down to make the EP, what were your goals and do you think you accomplished them? In the three years since the release of our first LP, "Four Statues," we had gone through a lot of changes in membership, style, and especially repertoire - it was to the point where our live shows sounded almost nothing like our record. We wanted to give our fans something they could take home that actually sounded like the show they just heard, and give people who hadn't heard us yet a meaningful preview of what to expect from us at a show. We tried recording some new songs on our own (the same way we'd done "Four Statues"), but for a multitude of reasons, couldn't quite get ourselves to finish them. Fortunately, we met producer Scot Stewart when we played at the Throne Room, and he offered to produce us. So we started over again, picking four of our favorite songs to play and knocking them out really quickly. Scot did a great job capturing our sound, and we are very happy with the recording. Q - It seems like there is a story behind the band's name. Is there? Do you think the fact that the band has a unique name has drawn more people to its music? Ha ha, if anything it seems to make it harder for people to remember our name! We get called Renegade Lightning Brigade a lot, which is wrong. Renegade Lightning Rebellion I think captures the playful energy of a band of close friends constantly trying to surprise each other, which is what we are. The name is also a spinoff of a name I used for my solo material - you can still find those old songs on iTunes. I'm not going to tell you what that old project's name was, you'll have to follow these clues. Q - Your live shows must be fun affairs. Do you think that performing live is the band's strongest suit? Is it hard performing the songs live because they are so musically complex? Performing live is my favorite part of music. An important distinction between our new EP and our old LP is that "Four Statues" was conceived before I even had a band to play the songs, and recorded before we ever played most of the songs live, whereas the material for our new eponymous EP was written specifically for the members of this band and further honed by years of live performance. The biggest challenge we've had in performing live is that none of us are trained vocalists, however I'm very proud of how much we've all grown as singers since this band's inception. Q - Do you have any favorite places to play in the Chicago area? What do you think of the Chicago music scene and how do you see the band fitting into it? Are there other Chicago bands out there that you admire what they are doing? We fill an interesting niche in the Chicago music scene, in that many of us are active as professionals outside the band: Jessie has played in the orchestra for Candid Concerts and American Chamber Opera companies, Marty regularly plays in the pit for musicals at Drury Lane, Keith does studio work, Brandon plays weddings and I've had the good fortune of having been commissioned to compose a cantata for Covenant Presbyterian Church, in addition to regular work with some jazz dance bands. So we are bringing this wide range of influences and experiences into the rock and roll/singer songwriter scene, and we find it draws us into some interesting non-musical associations - we often get asked to play alongside comedians, we played as the pit orchestra a musical production my friend wrote, and we have an upcoming association with another comedian to be part of a collaborative creative revue based on one of Shakespeare's early works. Aside from that, my favorite venues in Chicago are still the Gallery Cabaret and Uncommon Ground, because they represent opposite ends of the discipline/insanity spectrum, and I think that is what Renegade Lightning Rebellion is all about. The bands I follow the most closely personally in Chicago are probably John Dorhauer's Heisenberg Uncertainty Players and Bryant Scott's Great Postmodern Nightmare - two large jazz ensembles with incredibly creative and talented writers at the helm. Q - How did the band come together in 2011? How do you think the band's sound has evolved since forming and how do you see it continuing to grow? I assembled the band to perform a suite of songs I composed while backpacking in Europe that eventually became "Four Statues." I invited friends from college, from work (Starbucks at the time) and from church (Evanston Vineyard, at the time). My initial concept for the band was to completely defy conventional instrumentation by selectively eliminating or re-orienting the bass and drum parts, and also to have everybody playing instruments they weren't comfortable playing. This is how we all became singers, and all of us took turns being the drummer. After playing out a bunch and working new material into the mix, we've settled into a slightly more conventional format with bass and percussion at the center of the mix. The two main things I'm trying to accomplish with this band musically as we move into the future is a greater embrace of musical space, and incorporation of more danceable beats. Q - The David Byrne/Talking Heads influence in the band is strong, in my opinion. Would you view him and the Talking Heads as major influences in the band's music? Who or what are the band's other major influences? When I heard Talking Heads for the first time in college, it was an amazing validation and encouragement to me - finally a singer in a successful band who has a voice like mine and is using it effectively! David Byrne's vocal style and free-associative lyrical approach were huge influences, and I think are especially evident on our early song, "Nature." The next great vocal archetype I came across was Spencer Krug, especially his work with Sunset Rubdown. He wraps his voice around unconventional melodies with a power and assurance that I found very inspiring. His songwriting was also a great challenge to me - he had a way of organizing lyrical motifs and images that reminded me of how a great composer would arrange musical motifs in a symphony. "Four Statues" was in many ways a tribute to Sunset Rubdown and the lessons I learned from listening to them over and over again. Krug's associate Carey Mercer, from Frog Eyes, has also been an inspiration - his commanding, warbling voice was the impetus that led me to compose a series of "Pirate Songs," from which "The Swashbuckler" on our EP is derived. Aside from that, I think everyone in the band has great admiration for the Dirty Projectors, who are a constant inspiration to perform difficult music at a high level. This EP contains less than half of the exciting new material we've introduced in the last three years. We hope that through our release show and sales of the EP we can raise enough money to record at least another EP's worth of music. Our long-term goal is just to keep working on our music so we can connect with audiences on an ever deeper level for the rest of our lives. Chicago band Ten Foot Tail is not the type of band to be pigeonholed. The band, featuring brothers Chris and Paul Castelli, believes that music is to be explored. Over the years, the two brothers have done just that, sharing the stage with the likes of Heart and Lynyrd Skynyrd and working with esteemed producer Bob Ezrin. 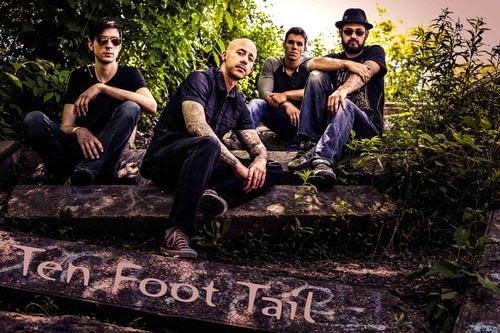 Ten Foot Tail will perform at 8 p.m. Sept. 24 at House of Blues, 329 N. Dearborn St., Chicago. I had the change to talk to Paul Castelli about the upcoming show. Q - Great talking to you. You guys will be performing at the House of Blues. For those people not that familiar with your music, what should they expect? People should expect an eclectic mix of music with a great vibe that will make people feel good. They can also expect some longer jams and some improv during certain songs we are feeling. Q - You guys dip into a lot of musical genres. Is that a result of being exposed to different music and/or not wanting to be pigeonholed? Is the band currently working on new music? Yes, we love all sorts of music and to be honest, get bored playing the same styles. It is fun to be able to take different genres and use them as influence for a song. We currently are writing and heading into the studio to record in January or February of 2015. Q - In the late '90s and early 2000s, you were part of the band Escape From Earth. The band's EP "Three Seconds East" was produced by well-known producer Bob Ezrin. What was that experience like and what did you learn from the experience? That experience was amazing and it is the reason Ten Foot Tail's sound is what it is. Bob told us to go back to our "roots" and start jamming classic covers to give us more feels and ideas. Well, we took his words to heart and it is the best creative awakening we have ever had. No genre is off limits to us. I like to think we have our own sound. When you hear us you know it is Ten Foot Tail, but you also get an eclectic mix of sounds, feels and styles. Q - The both of you also have played with the likes of Lynyrd Skynyrd and Heart. Did those experiences give you more insight into the music business? Those experiences gave us the thrill of playing large venues with a lot of people seeing us. Working with Bob Ezrin was a true insight into the music business. Bob has done it all and seen it all. His words were golden. It's an honor to play with bands such as Heart and Skynyrd and it was a lot of fun. Q - Escape From Earth had a harder rock sound than your current band. Do you have a favorite genre of music? I think we all just really love rock based music. Escape from Earth was going for a particular sound and was geared towards a look and fitting in. Ten Foot Tail is basically the complete opposite. We don't want to fit in, we want to do whatever we want without thinking about genre. Chris has a very soulful voice so bluesy and soulful styles fit him, however, we love jamming at getting funky and loud. If I have to say a favorite, we all would agree that classic rock bands in the styles of Cream, Zeppelin and Floyd is def our favorite. Q - What are the advantages of being in a band with your brother? Do the pros outweigh the cons? The advantages are that we can pretty much read each other's minds at this point and yes the pros outweigh the cons. We have a lot of respect for what each other is good at and trust each other to just do it. Our likes are extremely similar and we pretty much have the same vision for the band. Of course, we have our moments, lol. Q - The both of you have been in the music business for a while. Is it easier or harder to be a musician these days? It is way harder to be a musician these days. In every aspect of the business. We love playing live, but venues rely so heavily on the bands to bring out people that the music gets lost. Every aspect of the business is the bottom line. We get it cause it's business, but music is also art, so it is a different kind of business. I wish clubs would get a bit more creative with promoting themselves instead of relying on musicians to keep their club afloat. and all that jazz, we don't even think about it. We write, record and play live. Repeat. We really have no clue about the scene, ha ha. Seriously, we just do our thing and kind of have blinders on. I have seen some really cool bands we have played with, but we are so in our own world, it is hard to keep up with everything. As far as us "fitting in," I think we can play with anyone because of our diversity and originality. We don't gear ourselves toward only playing with certain style bands. If there is a gig to be played, we don't care where or what, we will do it. We just love playing live and taking risks. Our short term goal is to record a new EP at the beginning of 2015. Long term goals are to get on more festival gigs and create more of our own little following around the Midwest. We know we can, just need more exposure. Playing for us is the easy part, getting that following is the hard part. So thank you for helping us spread the word about Ten Foot Tail, we really appreciate it. 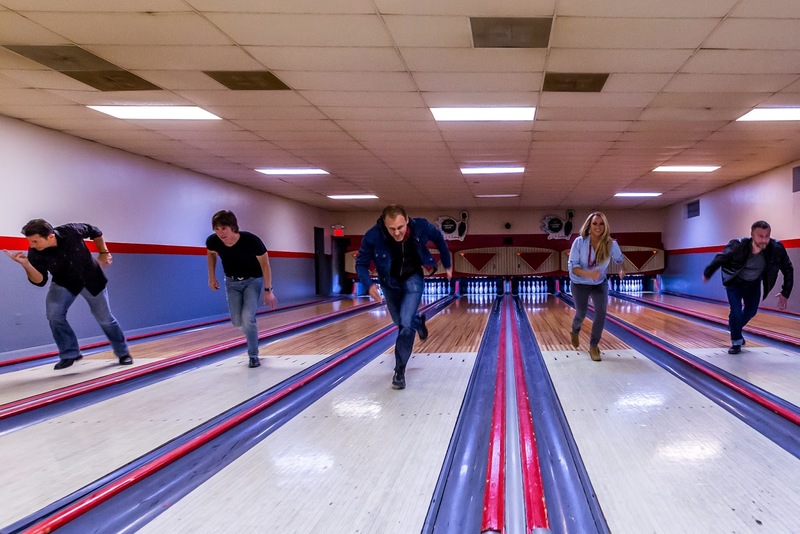 Chicago band The Bishop's Daredevil Stunt Club continues to refine its sound, as evident on its new album, "Veva, Hold On!" The band will celebrate the release of the album with a show on Sept. 13 at Metro, 3730 N. Clark St., Chicago. The show starts at 8 p.m., and tickets are available by going to www.metrochicago.com. I had the chance to talk to lead singer and guitarist Bill Giricz about the new album. Q - Great talking to you. Of course, your latest album will be released on Sept. 9. In sitting down and making the album, what were your goals and do you think you accomplished them? How do you think the album compares to last year's self-titled effort? I definitely put more effort toward vocal melody with interesting phrasing, whereas on the previous album the vocal was more style-based. While our brand of indie rock has a 'roughed up power pop' edge, I wanted something a bit more accessible this time - slightly less quirk and more hook. There are still the supersaturated leads in songs like “Bob's Yer Uncle” and “Singlehandedly,” but presented with more control and melody, less grit and intimidation than the previous work. I think our songs have graduated slightly from a standpoint of availability, no longer just the kid with the headphones rocking by himself up in his bedroom. Q - In forming the band in 2009, what goals did you have? How do you think your music has evolved since then? I suppose from the beginning, we've wanted to play better and better venues, while constantly improving musically, both individually and as a group. We were really just finding our style together at first. Over time, the band has become as close as family in many respects, and our music has evolved similarly. Initially, there was this type of song or that type of song, depending on who wrote it. Now there is a cohesiveness and we tend to write together at least to some extent. Also, the live performances have become tighter, more fun and physically dynamic. Q - Back then, the band was known as The Bishop. Why did you decide to change the band's name and is there any significance behind the name? Do you think it gives the band an advantage to have a unique name? I really disliked the name from the get-go. I'm really big into imagery, and there really is not too much you can do with the name The Bishop. A chess piece? A place of prominence in Catholicism? So you see where it almost becomes exclusive in a sense. Now, there were lots of band names bandied about, and it is surely a difficult thing to change a band name - you think of your Facebook and ReverbNation stats and whether, ultimately, your fan base will be OK with it. In an effort to retain a portion of what some had become sentimentally attached to, we kept the name The Bishop and put the Sgt. Pepper's Lonely Hearts Club Band spin on it. And what's more rock 'n' roll than motorcycles, rockets, and good old fashioned death defiance!? So there it was, The Bishop's Daredevil Stunt Club. Eventually, I would have a moment of affirmation: While in line at the Guitar Center store, checking my receipt at the door, donning my newish Daredevil Stunt Club T-shirt in shameless self-promotion, the clerk asked if I was in that club. Well, heck yes I was in that club. And now I want everyone to be in the daredevil stunt club. You want in? I'm signing you up, bam, you're in the club, welcome!! Q - You have two lead singers. How do you decide which songs are more suited for you or for Paulette? Do you write songs in a collaborative fashion? It typically depends on who originated the song. The songs tend to come about in different ways. I am constantly writing, so I typically end up with a lot of material per album. If I have an idea, I like to get our drummer, Luke, involved right away. We have a great chemistry, seem to have similar likes and direction for songs. From there Dan, Darin and Paulette get involved. I do like to mix our vocals, the male/female thing, as I think Paulette and I sound quite nice together harmonizing to each others' lead. Paulette writes some amazing songs as well. Her voice has a timbre that is unusual and super easy to mix because it sounds so naturally nice. Additionally, Dan tends to write one or two tunes per album, and his are always lyrically intriguing. In fact, the soon-to-be released EP, "Veva, Hold On!" is named after his song on the project. Darin typically adds his jingly/jangly, Big Star-type leads as the icing on the cake. No matter who comes up with the tune, however, just about everything gets filtered through our exceptionally musical drummer. Q - The band isn't signed to a record label. What have been the pros and cons of being an independent band? Would you ever want to be signed to a record label? I have a huge revelation - music is a crazy biz! Of course, this is an understatement. Doing it yourself presents challenges, but there is flexibility. We spend our stash on what we think is important, we are fortunate to have a studio at our fingertips, and we have no debt. The downside is that there is more uphill effort to get certain higher profile venues and getting our tracks on air. We have considered some opportunities, but thus far have not had an offer we didn't think we were better off to refuse. Would this change in the future? I guess it depends on the circumstances. I LOVE the Chicago music scene! I'm not just saying that. I really do! Ever since my days at DePaul, I've been playing these venues for original music, and it is very seldom that a band on the bill has not been quite good. When I gig in this great city, I know it's going to be a great night! I sincerely look forward to hearing the other talent throughout the night. And, hey, I'm with the band, so I get in free! For Chicago band The Central Standard, the time is now. The band in June released its self-titled EP, produced by Sean O'Keefe, known for his work with such Chicago area bands as Fall Out Boy and Plain White T's. After the production of the EP was done, the duo - comprised of Alex Garrison on lead vocals and Steven Phillips on lead guitar - soon added members Mike Bronk on bass, Manny Miller on rhythm guitar and Jack McKee on drums. The Central Standard will perform a headlining show Sept. 12 at Martyrs,' 3855 N. Lincoln Ave., Chicago. Sona Bliss, Teach The Fire and Hi Ho Silver Oh also are on the bill. The show starts at 9 p.m. and tickets are $8, available at www.martyrslive.com. I had the chance to talk to Garrison about the EP and the band's current activities. Q - Great talking to you. Of course, you released your self-titled EP a couple of months ago. In sitting down to record the EP, what were your goals and do you think you accomplished them? When Steven and I set out to record the EP, a big goal was to put something together that really defined the sound he and I had been honing in on over the course of the preceding months of writing. We were hoping to put out quality material that would hopefully resonate with others both on a listener level but also for those who would hopefully fill out the rest of the group. We also were hoping to help gain traction with venues around the Chicagoland area to help get off to a strong start in booking shows. We were very fortunate to find great musicians and contributors in Jack, Manny, and Mike to complete the outfit and help expand our sound. We also have received such a large amount of support and interest both in the material as well as in our live shows in Chicago area. I’m very satisfied currently with where we stand in so far accomplishing our goals from the EP. Q - Producer Sean O'Keefe, known for his work with such Chicago area bands as Fall Out Boy and Plain White T's, produced the EP. How did you hook up with him and what do you think he brought to the table? Steven was introduced to Sean’s manager through a coworker. Shortly after the introduction, Steven and I met with Sean to go through some of our ideas and get his thoughts. It was evident there was a mutual interest in recording an EP and it just happened that Sean had a small window in his schedule in the coming weeks and everything just fell together from that point on. When we had begun the process, the songs structures and frameworks were there however in really filling out the sound and honing on the right tone and pacing for the songs Sean was instrumental. He was able to get a very clean and composed feel to the music as well. Q - The band expanded to five members after the EP was released. What made you want to expand the band and do you think the band's sound now better represents what you envisioned? How did you get together with the other members? As mentioned before, it was always intended to expand the band to more members. When looking for new members we reached out to a variety of people to see who they knew who may be interested we also posted on classifieds of several websites. When it was all said and done, we found Mike through one of our classified postings. Also, Steven was connected to Jack through a mutual friend and an ex-girlfriend of Jack’s. Following Jack joining the group, he brought Manny from another one of his projects to the group and we’ve been playing together ever since. The new members brought to the table a wide range of influences from classic to psychedelic rock. The sound has really stayed true to the EP, but at the same time has evolved as the group has spent more time playing together and melding their interests both musically and tone wise to new songs. Q - Is there any other meaning behind The Central Standard's name other than referring to the time zone Illinois is in? When coming up with the name of the group, I was really hoping to find something that would connect to Chicago. The writing process prior to meeting Sean and even during the recording process was always complicated by my travels for work. For months, Steven would send samples and ideas to me while I was seemingly always in different places across the country. The name came together when we were trying to plan out our schedules on different time zones for the coming weeks during my travels to California. It continued to grow on us and eventually just felt right to name the band The Central Standard. Q - Are you currently working on a full-length album? What should people expect from the album? We have added a lot of material since the release of the EP and have put together 14 songs or so that the group has been happy with. Currently, we are in the process of figuring out logistically when we will go in and record the full LP, but our goals are to get back in the studio at the end of 2014. In terms of what to expect, I would expect a few of the songs from the EP to make it into the album. Conceptually, we are really looking to put together an experience that stays true to the evolution of the band, and us as people, from the beginnings of Steven and I as a duo to the band really coming into its own as the five of us in the past few months. Chicago has a very talented and diverse music scene that features a broad variety of styles. It also has so many great venues, both big and small, throughout the city. I think our band has been fortunate to get off to a strong start at some great venues (Double Door, The Metro, Elbo Room) and been a part of some diverse bills full of very talented acts. Our music definitely skews more main stream alternative rock as opposed to the more experimental rock and folk/Americana type of music we see a lot locally. Obviously in the short-term, we are very focused on getting the production of our debut album underway and playing shows that really help us to hone in on the track list before we actually get in the studio. From a long-term perspective, we would love to expand our reach from Chicago to other areas in the Midwest and would hope to get support from a label moving forward if all goes well.